An industry guide for applying mass flow metering system during bunkering has been developed by MPA. MPA hopes to encourage more bunker players to adopt mass flow meters so as to promote the development of a Singapore Standard for Mass Flow Metering System in the future. The industry guide is also available on MPA’s corporate website. MPA and the Singapore Maritime Institute have appointed the National Metrology Centre to conduct an in-depth study on frothed bunkers to tackle recent allegations of frothed bunkers being delivered in Singapore. The study aims to verify the presence of frothed bunkers and the impact of such frothing, if present, during the custody transfer of bunker fuel. Addressing the issue from both theoretical and practical perspectives, the study is expected to be completed in 2013. MPA will be establishing a bunkering assistance hotline, 1800-BUNKERS (1800-2865377), for the industry to contact MPA for on-site assistance in the event of bunker quantity disputes. This 24/7 hotline will enhance the bunkering experience offered in the Port of Singapore and facilitate dispute management. The bunkering assistance hotline will be effective from 1 November 2012, 0830hrs. I cannot help thin king that the use of mass meters is more being pushed by the manufacturers rather than pulled by the bunker market. I also question the emphasis on cappuccino effect capability of coriolis meters. 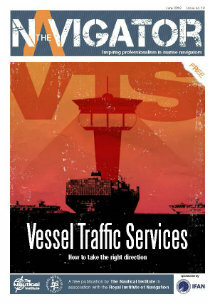 (see article “Coriolis: the new black?” in World Bunkering and the subsequent exchange of comments in later editions: http://www.worldbunkering.com/news/winter-2010/0475-coriolis-the-new-black.html). The MPA is not yet mandating the use of mass flow meters but it is clear that the direction of “push” (including by SPRING) is toward this and I cannot help but think that the bunkering business model is at risk and that the end result will be a price rise in fuels. The MPA has declared that it “legislates with a light touch”. The reason is that it recognises the bunkering business model and it recognises that over-regulation will lead to higher prices which will cause vessels to bunker elsewhere. Once that happens then they know that other marine related industry will follow the bunkering and as ships bunker elsewhere then domestic manufacturing dependent on ship visiting for advantageous shipping rates will suffer too. In other words, the economy of Singapore is dependent to a significant degree on bunkering. The MPA is reactive rather than pro-active to bunkering issues for good reason and it should be no surprise therefore to learn that what they use as a critical performance indicator is not the fuel quality nor the fuel management or fuel accounting, though these issues are addressed as and when necessary, but the level of disputes. Dispute levels are indicative of vessel satisfaction and if they rise then the risk is that vessels will bunker elsewhere. Bunkering is an operation where billions of dollars of fuel are transferred each year using the most basic equipment and where quantities are accounted for using a tape measure. Given the degree of sophistication of equipment and metering in other areas of the hydrocarbon industry there seems to be no logical reason why bunker fuels should not be managed far more effectively and using modern systems. Indeed, it could be argued that all the quality, quantity and fuel management issues ought to have been resolved long ago. That they aren’t might lead an external supplier to suppose that there must be some inherent technical barrier to the use of instrumentation and meters and the cappuccino effect seems to be the smoking gun. Entrained air certainly will cause problems for such online instruments as are available and certainly presents just as many problems for virtually all flow measurement technologies – except the entrained air capable coriolis meters, a new development. However, this supposes that the cappuccino effect is the reason why bunkering is conducted without instruments or meters when in fact it is a consequence. In other words, the reason why the equipment is so basic and that flow meters are rarely used is not because of the cappuccino effect. Therefore there has to be another reason why and unless that is properly understood in the context of the business model there is a real danger that the business model will be broken and the consequences could be bad for the shipping industry. 1) make more efficient use of the fuel e.g. bigger more efficient vessels and shorter sea routes – the significance of the Panama and Suez canals, for example in this. 2) always buy the cheapest fuel. It is (2) that provides the business model for bunkering and why bunkering equipment is so basic: it is cost that is the major concern when buying fuels. Anything which pushes up costs has a particularly powerful impact on profitability. This approach has been highly effective. Bunker fuels are available from the refineries at a price that is only marginally more profitable to the refiners than converting residuum to other products. If this were not so then the cost of de-sulphurisation would have been met for MARPOL. Bunker suppliers, the independents, make very little margin on fuel sales. In one case a vessel received quotes from the refiner and a local supplier. The local supplier’s price was marginally less and they won the contract. The independent supplier was buying from the same refiner at the same higher price quoted to the vessel but by the addition of some water was able to make a profit. A few dollars a ton. High volumes times very low margins results in profitability. Sure, abuses such as this could be resolved by instrumentation. But the occasional problems with quality or quantity are simply the cost of doing business this way. The best analogy is to self service shopping. Self service is the business model that reduces overheads and delivers the ability to manage the high volumes of customers and product sales and it is the low prices that deliver these high volumes. High volumes times low margins delivers high profits. But, the unique costs of doing business this way are spoilage e.g. where customers drop a box of eggs and simply select another box and carry on shopping, a small easily absorbed cost of doing business this way, and shoplifting. Shoplifting is potentially very damaging. But attempting to completely eradicate shoplifting will break the model. The costs of prevention can rapidly come to match the cost of the products stolen. There is a very careful balance of counter measures (store detectives, cctv, tagging – not all products are tagged and visibl security) and the shoplifting and it must be managed continuously to make sure that profitability is maximised. In other words, a degree of shoplifting is tolerated because the business model is the most profitable model available. The counter measures are entirely within the control of the store and do not depend to any significant degree on the authorities or the judicial system. In just such a way, in bunkering, a degree of quality and quantity issues are simply the cost of doing business using the “always buy the cheapest fuel” model. In the article by BP on their coriolis trials in SIngapore (http://iom.invensys.com/EN/Pages/IOM_NewsDetail.aspx?NewsID=76) Don Gregory says of tank dipping “it is certainly accurate when properly conducted”. Accuracy is not an issue. It is the way it is performed that is in question. So one questions the need for OIML tested meters. In any event, a 0.1% meter delivers no significant advantage over a 2.0% meter. Oh certainly, in an individual transaction it will but over the course of a year, both meters will converge on the true mean value and be indistinguishable from each other. But the real danger from high accuracy metering is that it makes the marine industry “taxation ready”. The uncertainties of an instrument free basic bunkering system mean that any attempt to introduce global bunker fuel taxes (as championed by Friends of the Earth et al) would most probably require imposing custody transfer metering on the industry. SInce this would have to be imposed via IMO and international treaty the cost burden is likely to defeat such a measure. But if the industry voluntarily adopts custody transfer metering standards…..? What is important is to regulate the “shoplifting”, the quality and quantity frauds. Entrained gas capability to “manage” the cappuccino effect is not the answer. As quantity frauds are addressed then the fraudsters will switch to quality frauds. Cappuccino effects mask quality measurements both online and offline and prevent authentication of the drip sample. This makes resolving quality disputes in arbitration more difficult. Subsequent samples from the bunkers are more easily challenged. Any solution to the problem must follow the example of the measures against shoplifting. It has to be managed proportionately to the cost of the problem and managed not via international mandated standards but using the bunker contract and it means suitable instruments, including if chosen, flow meters. Sure, thee role of the regulators is important to monitor and intervene when necessary and organisations such as IBIA can provide suitable guides to help vessels implement better contract conditions. But in the end the way to resolve or manage quantity and quality issues seems to be through the mechanism of the bunker contract. Incidentally, setting aside the cappuccino effect, which can be easily prevented, coriolis is not necessarily the best meter choice. Headloss is a key issue as is price. Nor can one be sure that the selection process hasn’t been guided in absence of the real objectives which isn’t to eradicate quantity error but to manage it and to prevent quality issues arising alongside. The path of entrained air capable coriolis meters mandated by port authorities may well lead to fuel prices will rising significantly not simply due to the cost of the equipment but by revealing a range of fuel management issues which will be very expensive to correct and by making the industry “taxation ready”. Taxation will add not simply a dollar a ton but 2%?5%?10%? to fuel bills? Where would it stop? the activists have already pushed the sulphur limits way beyond what is practicable, affordable and effective. They wont stop if they get taxation imposed.